In the past couple of years I have gotten my hands on several different primers. Recently have been trying to find one that helps control my pores and make a beautiful even appearance on my skin. I really dislike the look of my pores on my forehead!!! I have some at the inner part of my cheeks right by my nose, but those pesky forehead pores drive me insane! I've been trying out a couple of new ones lately to help with my pore problem. I thought I would share my thoughts on some of them to help you guys out to find the perfect primer suited for you!!! I just may have fallen head over heels for this one in particular!!! "This one-of a-kind makeup primer was scientifically formulated to wear alone or under bronzers and foundation powders for a look of flawless skin without makeup. Vitamins A & C, Mulberry extract, and a powerful dose of Retinol virtually banish pores while tired skin is left hydrated, firmer, and detoxified. Primed & Poreless creates the perfect canvas to allow powders, bronzers, and foundations to slide seamlessly on the skin—delivering a flawless and perfectly blended look that stay in place all day. Skin appears brighter, fresher, and younger." This is a little miracle in a bottle! I love the way this product feels on my skin! It glides across the skin and it feels like its filling in my pores... It sure looks like it! My pores I would say are diminished at least 80%. It has almost a spongy texture to it (I love that), which makes for a very smooth application. It doesn't feel heavy by any means. Even without makeup on over top of the primer my skin does have a fresher, more evenly smooth surface! This is my new love!!! Why has it taken so long for me to try you?! For me this is it for Face Primers!!! You lose your pores, fine lines and gain beautiful youthful skin! Must have in my makeup kit for now on!!! "This light, breathable and non-greasy primer will help your skin feel smooth, while helping your makeup to last all day long. A Multi-Functional Primer and Moisturizer. Applied to face and neck for use under makeup or can be worn alone." 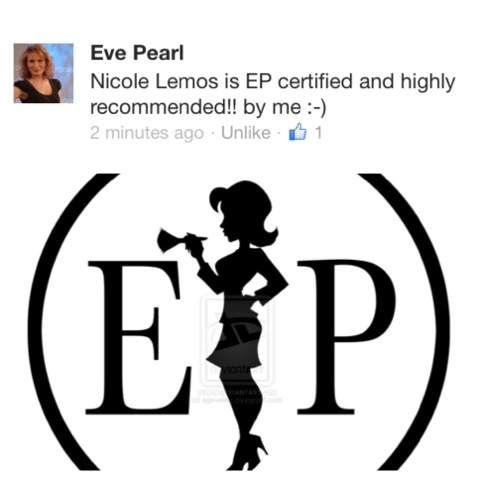 First off I LOVE my Eve Pearl products! This primer is smooth and luxuriousness! I love the soft fragrance. This does completely prep the skin for makeup... leaving it with a glow & smooth surface. I feel that it doesn't do to much for my pores which doesn't make me too happy! You can always add a pore filler before in the spots needed (which I do). 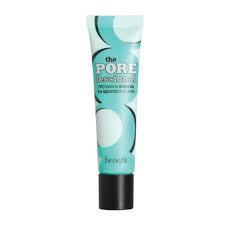 "The POREfessional quickly minimizes the appearance of pores. Apply this silky, lightweight balm to achieve translucent pore coverage and smoother-than-smooth skin. Pores…now you see 'em, now you don't!" 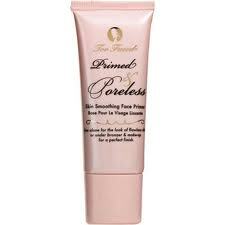 I find this to be as amazing as Too Faced Cosmetics Primed and Poreless Skin-Smoothing Face Primer. It has that spongy feeling that feels like it's getting right into your pores & skin. It feels so smooth and light on. The only difference is that you can only use this on your pores & not all over the face (so you can't completely prep your skin all at once) Also, with the Too Faced primer your getting 0.25oz more for only $1 more. "This unique makeup base and primer provides a fine, melting texture that conceals lines, pores, and imperfections in an instant." 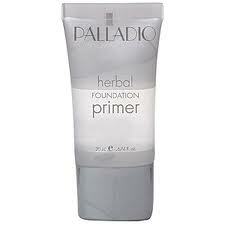 This was my first primer i ever used. I used it for a little over a year (that's how long it took me to use it up)! It made my skin feel pampered and smooth. Does it conceal those lines and pores in an instant... ummm... no, not really. It did help in my lines, but I felt my pores could of used a little extra help. It was also thick, creamy and glide accross the skin beautifully. made a beautiful surface to apply makeup. 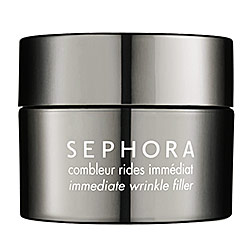 "Sephora Brand "Tricks of the Trade" Immediate Wrinkle Filler evens out skin tone while smoothing fine lines and wrinkles. The gel texture enriched with silicones instantly fills in fine lines and surface imperfections for immediate results. 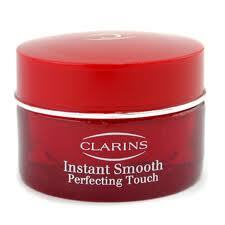 The silky texture provides easy and pleasant application." It's alright. It's thick like Clarins primer, but I feel that it doesn't really do much at all. I actually use this to mix with heavier concealers under the eye so it can help it glide better. I won't say it fills in those fine lines, but it does help a bit so your makeup doesn't crease as much. "Meet the new industry standard in eyeshadow primers—one that retails for LESS THAN HALF the cost of department store brands! Enhanced with 5 different herbal extracts as well as Vitamins A, C and E, this sheer, silicone-based formula glides on like silk and then vanishes instantly. It’s the ultimate makeup kit accessory, that eliminates creasing and ensures maximum shadow vibrancy all-day long." Not a fan AT ALL. I wanted to give this a try, I mean the price is right! I was left so disappointed & upset that I even spent the $12 on it. I just threw it away. Even if I don't particularly like a product I still hang on to (and use it occasionally) or give it away. This item was not worth passing on to someone else! To me it felt like watered down gel. Awful!!!! You know that saying... "You get what you paid for"... is so true in this case. At least in my opinion. I hope that this helped or guides you towards what you are looking for! Remember any quality cosmetic store will give you a sample of the products they sell. Don't be afraid to ask for samples!!! Even if you want to try four different primers! It's your $$$ in the long run & you don't want to be stuck with a product that isn't right for you. One more thing a little goes a long way with these products. You may spend $20-$35 but it will last a very long time, and with the results your looking for worth every last penny!!! Comment below & let me know which Face Primers works for you! Thanks for sharing! I have been thinking of getting a primer, but didn't want to waste my $$ on something that didn't work for me. Do you use a separate eye shadow primer? I am going to have to give that Too Faced primer a try! I've recently been using a Smashbox primer that I had a sample of (it's the light pink one with SPF...I can't remember the name off the top of my head right now) and it broke me out. My regular face primer is Nuance by Salma Hayek and I am in love with this primer! It really diminishes the look of my pores! Don't forget to ask for that sample from Sephora!!! Try it out! I'm sure you'll love it!!! Let me know what you think!